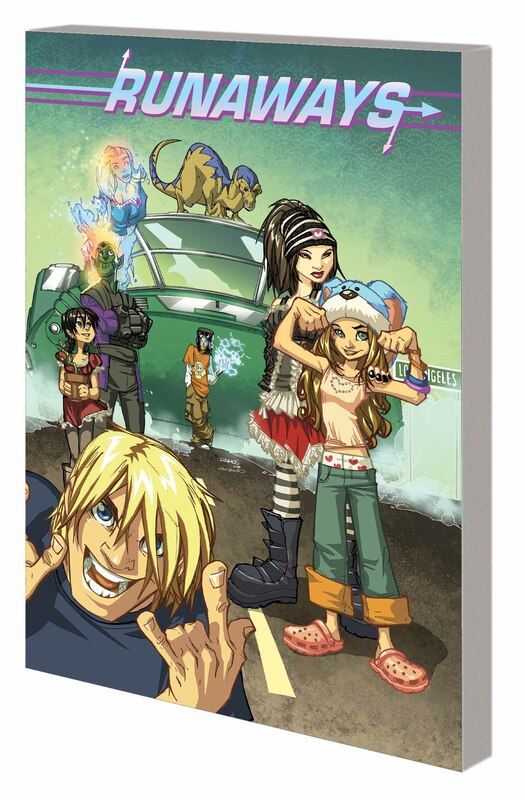 The Runaways' adventures conclude! Soldiers from Karolina's home planet arrive, demanding that she be handed over. Squabbling over the best course to take, the Runaways fracture. Can they face the alien threat when they can't face one another? Meanwhile, a DJ creates a mystical song that transforms anyone with plastic surgery into an obedient zombie. In L.A., that's a lot of zombies! And when a mysterious airplane crash takes a Runaway's life, the team's mourning is cut short by armed troops, dispatched to retrieve the wreckage. But an ominous figure from the group's past has returned to confront them! Plus: Nico in solo action! 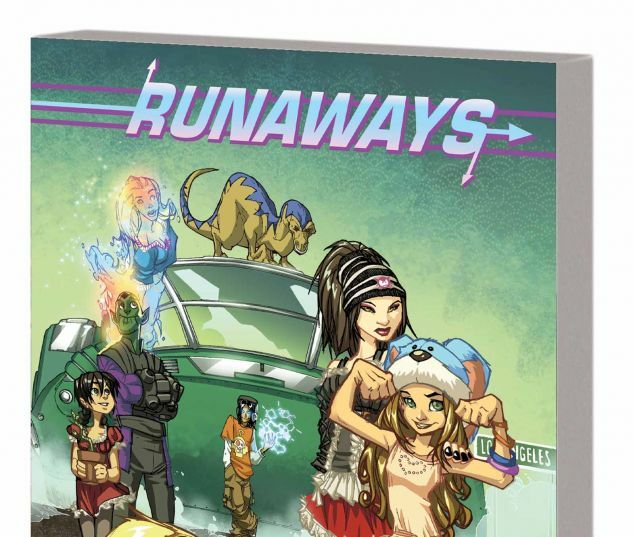 And what if the Runaways became the Young Avengers? Collecting RUNAWAYS (2008) #1-14, WHAT IF THE RUNAWAYS BECAME THE YOUNG AVENGERS?, and material from MYSTIC ARCANA: SISTER GRIMM and BREAKING INTO COMICS THE MARVEL WAY #1.